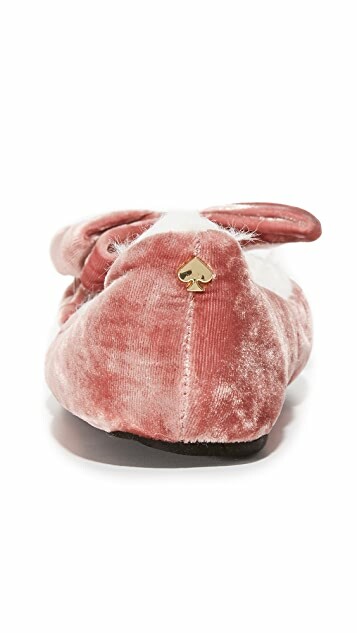 Packable Kate Spade New York slippers in plush velvet and accented with a bow. 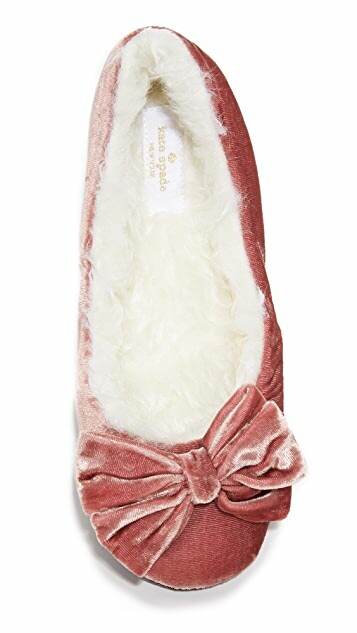 Plush faux-fur lining adds warmth. 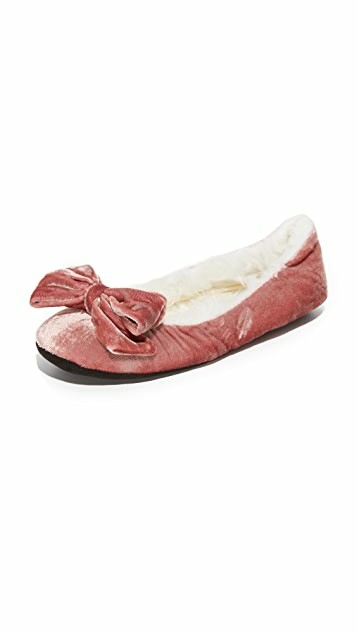 Fabric sole.